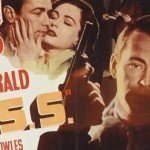 Sterling Hayden is perhaps best-known for playing Jack D Ripper but his life and career make for fascinating reading. After a time working as a mate on various ships his near 2-metre frame, grizelled good looks and shock of blonde hair saw him move into print modelling and then into Hollywood. 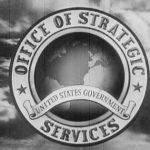 Hayden then joined the Marine Corps and from there the Office of the Co-ordinator of Information, which became the OSS. 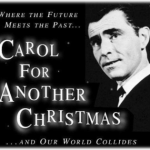 Following WW2 he returned to the film industry and became embroiled in the Red Scare as he had briefly been a member of the Communist Party. 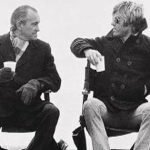 He testified at the HUAC hearings, a decision he later renounced, before eventually starring in two Stanley Kubrick films – The Killing and as Jack D Ripper in Dr. Strangelove. Hayden’s OSS file contains details of his wartime exploits and his reckless character. 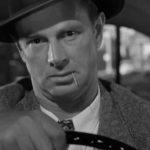 Jack D Ripper or Sterling Hayden or John Hamilton? When Sterling joined the Marine Corps he did so under the pseudonym John Hamilton – a nom de guerre that he never used elsewhere. 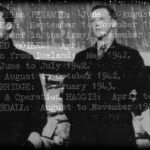 Given his subsequent recruitment as an OSS secret agent this begs the question whether this was a disguise – particularly since he used his real name on his application to join the OSS. On the other hand, it may have been a way of shrouding his fame and avoiding starfuckers and autograph hunters. The file makes clear that Hayden originally joined the OSS in 1941, prior to his stint in the Marine Corps in 1942 and that he underwent parachute training in Britain run by ‘Scottish commandos’. He fractured his ankle on one jump and then returned to civilian life before re-joining the OSS as a field operative. 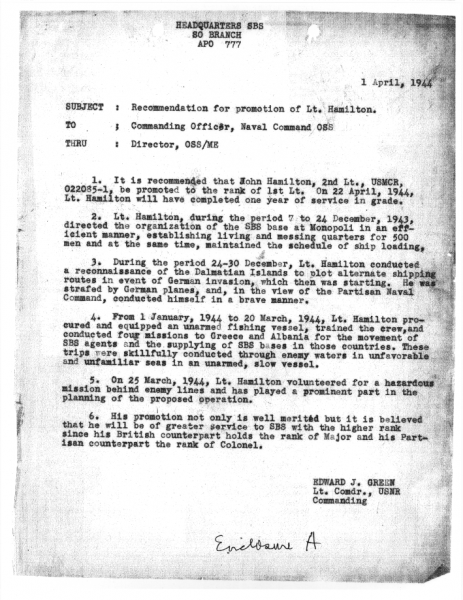 One 1943 memo recommends Sterling for a promotion in light of his various missions for the OSS in Southern Europe. 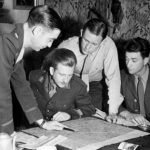 It records how he ‘conducted a reconnaissance of the Dalmation Islands to plot alternate shipping routes in event of German invasion, which then was starting. He was strafed by German planes, and conducted himself in a brave manner’. Hayden also ran clandestine operations using a small fishing boat to smuggle SBS operatives and equipment into Greece and Albania. He volunteered for one particularly ‘hazardous mission behind enemy lines’ but the memo doesn’t provide the details, but the file does cite his bravery in carrying out smuggling operations in ‘through enemy waters in unfavourable and unfamiliar seas in an unarmed, slow vessel’. Sterling also worked with anti-fascist Communist partisans in Yugoslavia, which is where his sense of brotherhood with communists and communism originated. Like a lot of American communists and fellow travelers he was never pro-Soviet, but having fought alongside these groups he could not readily abandon his affiliation and fellowship with them when the war ended. However, he didn’t like the British government (who does?) because he blamed them for the failure to evacuate thousands of partisan refugees from the island of Vis in Yugoslavia to safe haven in Italy. Frustrated by both the British disinterest and the apathy of his own commanders Hayden and several other officers told their commanders that they could no longer operate unless they had the necessary authority and support. This caused the break up of the unit working with the partisans and slowed down the support operations. The file includes a fifteen-page narrative written by Hayden himself, a sort of mini-diary of his wartime experiences that makes for great reading. He repeatedly blames his commanders, British ‘high politics’, the British Navy (who didn’t like the OSS running a ‘private navy’ in British waters) and other factors and institutions for making his missions more difficult. Sterling was obviously an intelligent man trying to get something done, and one who didn’t shy away from placing blame on his superiors if that is where the responsibility lay. But then, at 6 feet 5 there were probably few who would dare to argue with him, regardless of rank. 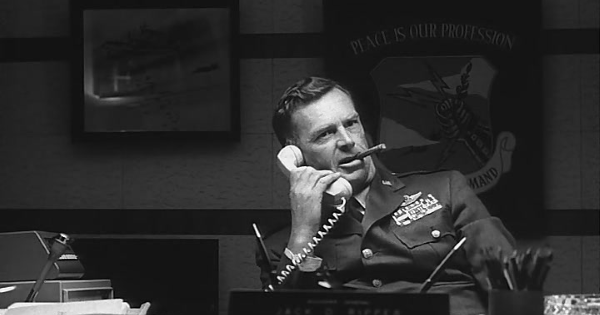 Ultimately, Sterling Hayden was awarded several war medals, including a Silver Star for bravery, in spite of his willingness to criticise his superiors for their apathy and incompetence. His story is quite exceptional, and even includes one night on particularly rough seas where his ship sank but Sterling managed to make it to shore. For many that would be enough risk and action for one war, but not Hayden. Were you recruited out of school? No, sir. The Company interviewed a few of us in Korea. You were with Mr. Donovan’s OSS, weren’t you sir? I sailed the Adriatic with a moviester at the helm. It doesn’t seem like much of a war now. But it was.